BMW 5 series facelift is arriving here on 10th October, here are the official words from the German carmaker. The announcement from the German automaker may come across as a surprise, since the model is being launched in India within a few days of its global unveiling. However, it only highlights the fact that after slipping to the number three position in the luxury car segment, BMW India quickly wants to make its move in order to rival the new Mercedes Benz E-Class and the Audi A6. On the powertrain front, expect no changes in the car and the same would be available in both Petrol and Diesel variants. The gearbox is the 8 speed automatic unit that gives all variants of the car peppy performance. Some variants of the 5 Series will be assembled in India while others will be imported directly from Germany. However, coming to interiors, BMW will have more storage spaces and the new car includes refreshed satellite navigation system. The car will continue to come feature-laden and also gets optional Adaptive LED Headlights. The BMW 5 Series LCI comes with a mildly revised exterior styling that includes a new bumper, new foglamps and a dash of chrome above it. The car also gets trafficators on the ORVMs, new taillamps, more chrome at the rear and a slightly updated rear bumper. BMW claims that the updated 5 Series has a lower drag coefficient of 0.25. 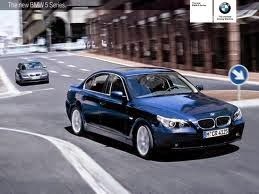 Stay tuned for more information on BMW 5 series facelift.